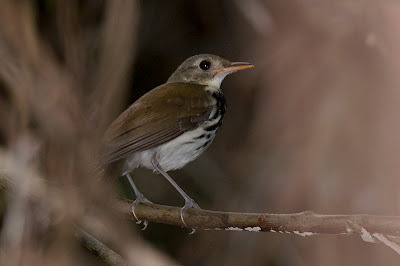 Rick Simpson Birding: REGUA - Guapi Assu Bird Lodge, Brazil. REGUA - Guapi Assu Bird Lodge, Brazil. Today I have added a new link, again long overdue. Guapi Assu Bird Lodge, or Reserva Ecológica de Guapiaçu in the state of Rio de Janeiro, better known as REGUA (see links section in right hand margin), is a fantastic place to stay and get to know the birds of south-east Brazil. Not only is it a great birding destination it is also one of the foremost conservation projects in that part of the world, designed to protect and regrow the highly threatened Atlantic Forest habitat. Elis and I spent a few days there in 2011, it is quite a place. From my Wader Quest point of view it didn't go too well, I only heard the Giant Snipes that inhabit the marshy area, but Elis actually saw one, very high up, in flight. On the return journey to the lodge we came across this Tawny-browed Owl in the trees above the track. I saw my first and only Southern Antpipit there, its enchanting song filling the forest gloom. We were also surprised and delighted to come across one of the re-introduced Black-fronted Piping Guans. The site has also been selected as a release site for Red-billed Curassows. Both species are still sadly hunted and so we hope these populations will fare better than the unprotected ones. In addition to being a great place to visit and an excellent conservation project, the folk that run it are lovely people and we feel privileged to count Nicholas and Raquel among our friends. rather unfortunate position of the flower in front of Raquel's face). Lee Dingain and Rachel Walls are volunteers at the lodge spending many weeks there every year and last year R.S.B.S. had the pleasure of sharing a stand with them when they represented REGUA at the British Birwatching Fair; they too have become good friends as a result. Lee was responsible for creating the excellent REGUA checklist and often writes about and has news about REGUA on his interesting and informative blog (see blogs list in right hand margin). REGUA will have their own stand at the BBF this year, go along and see the magnificent work that is being carried out by them. Alan Martin pictured with us here was one of the authors of A Guide to the Hawkmoths of the Serra dos Orgãos, South-eastern Brazil and is a council member of the World Land Trust, which supports REGUA. I couldn't agree more with your words about REGUA and the truly inspirational Nicholas and Raquel. 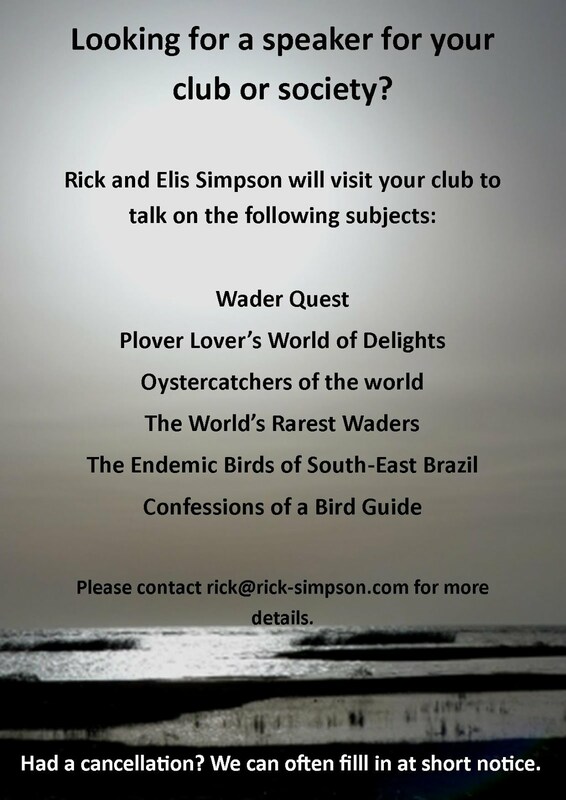 Looking forward to seeing you both at the Birdfair and many thanks for the plug. New link: IOC world bird list. Hayfever sufferers, look away now!